Reversible beanie by MerkelGEAR made of pure lambswool. One side in appealing dark olive; other side in bright signal orange. High-quality new wool that is both strong and wonderfully soft. The orange side has a 0.5cm wide olive brim, to prevent orange from shimmering through when wearing the olive side. 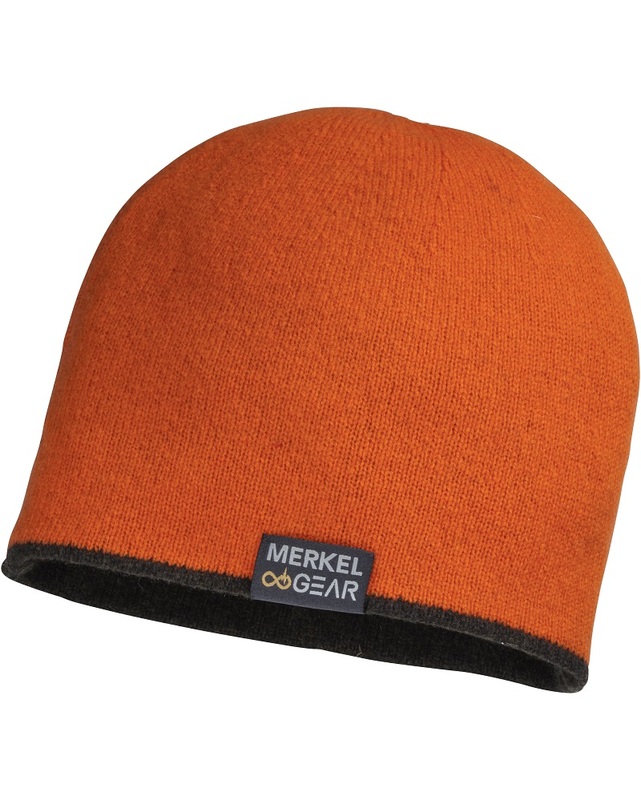 Elaborately finished with subtle, woven MerkelGEAR label at the brim of the beanie.